The WavePro 7000A Series brings the ability to conduct next-generation waveform measurements and analysis — not just viewing of signals — to 1 GHz and 3 GHz bandwidth applications. Affordable analysis of high speed signals is now a reality thanks to the new WavePro 7000A Series. 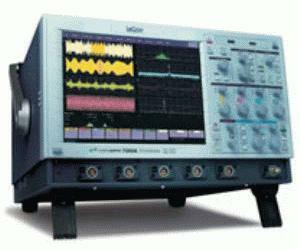 With its combination of built in jitter and timing measurements, innovative X-StreamTM technology, unique customization strengths and WaveShape Analysis capabilities, you would expect to pay more for this mid-range 1 GHz - 3 GHz Oscilloscope.